One of the greatest aspects of living in California is the rich cultural diversity that is very much on display throughout Los Angeles. And with heavy ties to colonial Spain as well as native cultures of Mexico, it is no surprise that these cultural influences are still prominent in the art and architecture throughout the area, especially in San Fernando. If you are looking to celebrate the rich cultural history in your home, a great way to do so is using traditional Mexican pavers for your floor tiles. In addition to their traditional beauty and charm, one reason Mexican pavers are a popular choice for entryways is that the floor tiles we carry at Transworld Tile are handmade. While many manufacturers have attempted to recreate the gorgeous look of Mexican pavers in mass production, most have had very little success. The details in the colors and designs of Mexican pavers make them a sought after choice. 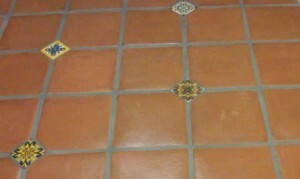 Another reason that so many people love Mexican pavers for their entryways is the tile looks great both indoors and outside. This means that your choice of tile can extend to your patio which will give your San Fernando home an expansive feeling. Connecting your entryway to your patio with stone tiles that are durable and attractive is an excellent choice, allowing your entryway to be capable of standing up to the elements while also making your outdoor living space more cozy and comfortable. If you are looking to create a beautiful tile entryway, contact Transworld Tile today!